The batteries were fully charged using a 500 mA rate, and then removed from the charger. 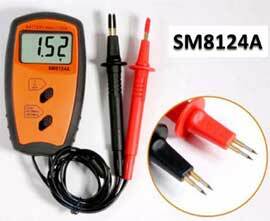 The batteries were reinserted into the Lii-500 and (1) the NOR test function was selected, and then (2) a 700 mA charge current was selected. The Lii-500 ran for a few minutes in the constant voltage charge phase, and then began the NOR test. Because a charge rate of 700 mA was selected, a 500 mA discharge rate was attained during the NOR test. If a 500 mA charge rate had been selected, then the Lii-500 would have used only a 250 mA discharge rate. The capacity results obtained from this test align fairly closely with the 1003 mAh capacity (at 500 mA discharge rate) advertised by Vapcell. and the 924 mAh capacity measured by HKJ. The internal resistance results from this test meet the AC 1 kHz specification of 60 mΩ max advertised by Vapcell. I must say that I am positively impressed with these batteries so far! 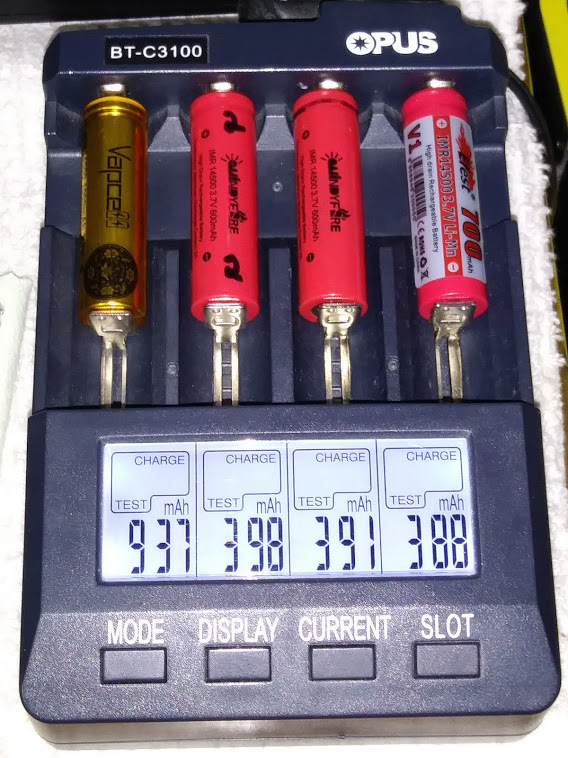 Informal Measurements of Six More Vapcell 14500 "Gold" Button-Top Batteries. The purchase price was still $4.11 per battery. UPS ground shipping was about $1.00 per battery for the these six 14500 batteries plus four additional 18650 batteries. That is to say, the total shipping cost for 10 batteries was $9.70. Therefore, the cost + shipping for each Vapcell 14500 battery was about $5.10. The average capacity of all 10 cells is 966 mAh, and the average AC 1kHz IR is 48.7 mΩ. 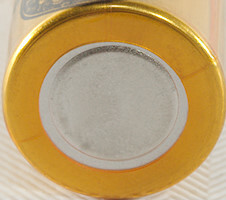 I've used Vapcell 14500 1000 mA Gold batteries regularly now for about three month, and I like, gift, and recommend them! I had mostly lost interest in lithium 14500 and had migrated to nimh. With this progress in the format I’m interested once again. Thanks for the test. I’m not home right now but I’ll post a picture when I get back home. I got 937mAH with my Opus.HKJ got 924. I think you can see why I got another 14500 cell! The Windyfire and Efest were Purchased on June 4th,2015! I only have one 14500 cell light that I do not use much. I would NEVER let my cells in my high powered modified lights degrade that much! Thanks for the test. Will definitely get some of these in my next order. I hope for the best, we'll see how long does this last. Concerning wolfdog1226's test, those “high current” fast spoiling 14500 cells I'd bet come from the same factory as the TurdFire IMR14500s. I must say they do not seem to be heat resilient, I rewrapped a couple and this was enough for them to start misbehaving. This is what my owner friend reported later. These manufacturers need to learn to stop self-sabotaging their own success with this roguery. FWIW, the Sanyo UR14500P 840mAh batteries that I have been using up to this point provide >100 mAh less capacity and cost over a dollar more than this new Vapcell 14500 1000 mA battery. I believe it may be worth taking a risk to try them. I queried Vapcell if these 14500 gold cells were protected and the answer was no. I asked because of the indent around the cylinder near the anode which sometime indicates added protection circuitry. I am using these cells in my EDC Thorfire TG06S and my new AceBeam H40 headlamp - and have gifted one with a TG06S. I really like them so far and ordered six more from LiionWholesale. Because of the cells's 1000 mA capacity, I am afraid that the current $4.19 price may just be an introductory offer. I just measured two of the Vapcell 14500 gold in my Xtar Dragon VP4 Plus and got 993 mah and 995 mah. The 1,000 mah spec is spot on! … Because of the cells's 1000 mA capacity, I am afraid that the current $4.19 price may just be an introductory offer. So Heter Battery is ultra likely to manufacture both cells. Same 16500 cells as before, but this time at $2.49 + shipping. Doing the math: 4 cells cost $9.30 ($2.325/piece), 6 cells come out at $12.52 ($2.08667/piece), or 8 cells at $16.49 ($2.06125/piece). Now let me set this on fire: what is the reason I cannot manage to see a clear picture of Vapcell 14500s' top in AliExpress? Because they're trying to hide the facts. I see the Vapcell 14500 sold at $6.99 a pair ($3.495/piece), down to $16.99 for three pairs ($2.83125/piece). So not bad for a rewrapped cell. P.S. : had to edit the message because the AliExpress system is right now malfunctioning or it is my recently upgraded browser, the amount total for the cells is only raising in the cart page. P.S.2: edited again to fix the stated price for the Vapcell 14500. Just checked it myself at $6.99 a pair so not bad. So where can one get a cheaper 14500 battery with the same 1000 mAh 3A capacity as the Vapcell 14500 Gold? I use this 14500 daily since januari in my tool AA. Still measures around 960mAh@500mA discharge in my opus. And it got used and abused a lot. In the future, the unit price of batteries will be more and more preferential, even 14500 1200 mah, the unit price will be more preferential. Hi Dennis, did you already have a look into a new high current/capacity 16340 battery? Or is it really not worth the effort for Vapcell because it is not used for vaping? (still many many flashlight lovers will be interested). Dennis, it is good to hear that the trend on Li-ion battery prices is downward and capacity is upward. Now if shipping could be made less expensive! Do you have a timeline on the availability of Vapcell 14500 1200 mAh batteries? Thanks! We are paying attention to your needs and listening to some members’suggestions. 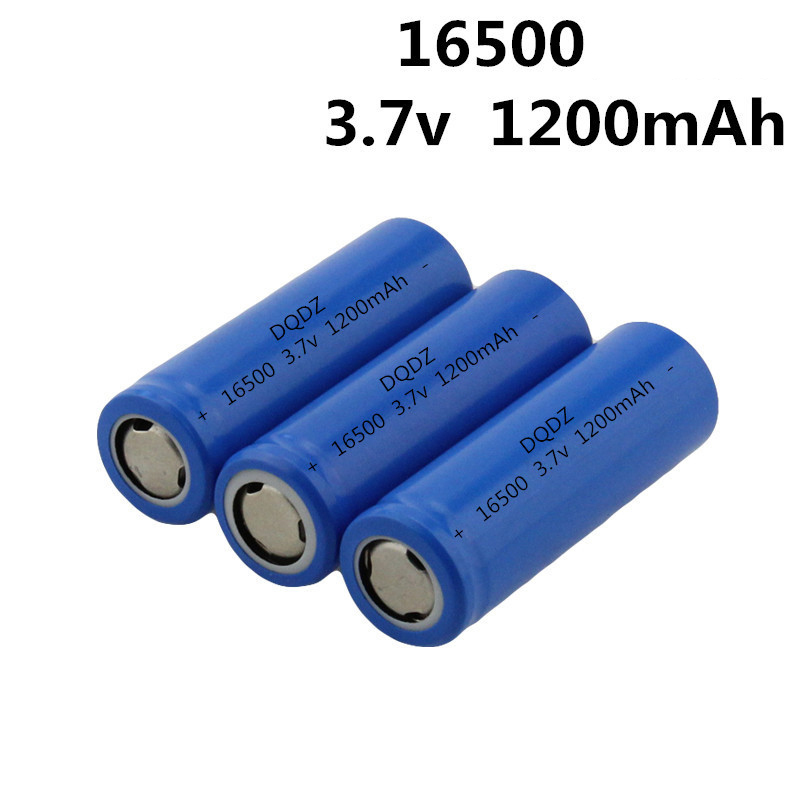 16340 batteries have been in the development stage, and need to negotiate a lot of factory and sample testing. Recently, I am busy, and I don’t have much time to speak in the forum. We expect to release 16340 batteries next week. Gotta grab a few of these. Maybe Sanyo can be produced. Maybe the price will be more expensive and the market will be limited. At present, there is no such technology in China. Thanks Dennis and Vapcell for the work on the 16340 ! 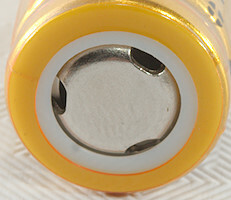 Measurements of six more Vapcell 14500 1000 mA Gold batteries are added to the OP. The average capacity for all 10 batteries is 966 mAh. Thanks Dennis and Vapcell for the work on the 16340 ! I’m looking forward to them. Because they’re trying to hide the facts. Sorry, maybe the photographer forgot to show more parts of the battery. It’s no secret that many people can buy batteries in the market. This is a new battery technology of 14500 batteries, which needs to be developed separately. Not the special 16500 batteries. These are some of the tailings that some companies sell at a low price, such as Lishen 21700 batteries. We choose small parcel and send it to Europe and America. It’s very expensive. If you need tracking records, you need more expensive freight, about $5. How do some businessmen do this when their prices are so low that they are crazy? Batteries are sensitive goods. What kind of small package do other businesses choose? vapcell Dennis, sorry if my statement sounded too sharp. As a consumer and casual battery pack rebuilder I find disgusting having to deal with bogus battery wrap claims. Even the main battery manufacturers lie to some extent with their claims, at least in my experience. I like peeking at cell datasheets for their official specifications. When a rewrapping company changes the cell under a wrap without notice, be it for whatever reason, the trust of the consumers suffers. Yes, this Vapcell 14500 cell is good and price is not too shabby. Thanks. I see. We’ll be more careful in the future. You may know about the quality of vapcell 18350, 20700 3100mah batteries. The battery factory changed the battery can and replaced another supplier without notifying us. But the battery performance is still the same, with only minor changes. For batteries with poor consistency, we are also trying to replace them better. I would like to ask, thoese 18350 and 20700, there are many companies also encountered, what companies can let us learn from the example, they provide information updates.